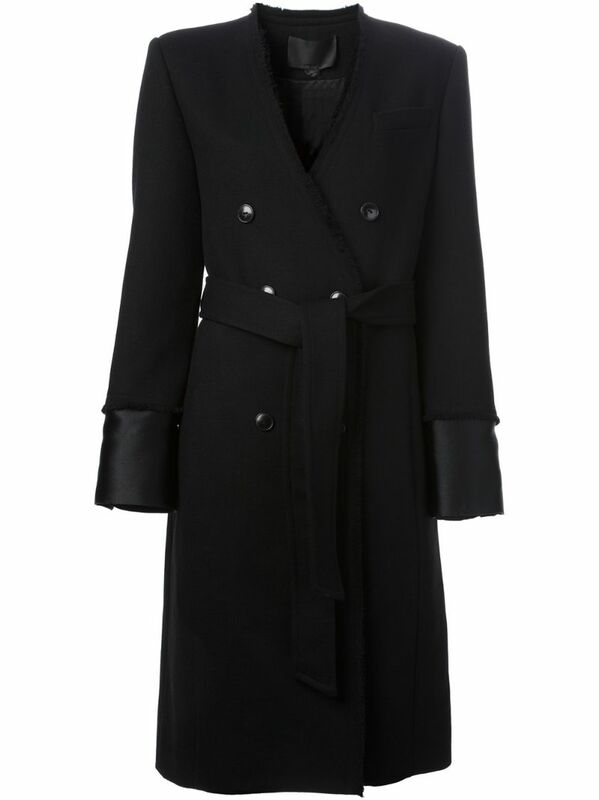 Winter coats are the staple in any winter wardrobe. Although it is still summer in most parts of the world, we have selected the next season’s most luxurious coats based on what was seen on the runway. Also, it is a good time to buy a new winter coat as many online shops including ASOS, Farfetch and Stylebop have sales going on. Think of the styles you want to rock this Fall/Winter and the cute scarves and boots you want to accessorize it with. Here is some inspiration for you. In case you did not know, shearling coats are made from processed lambskin, sheepskin, or pelt. This is important because shearling outerwear is making its comeback for Winter as a great sartorial investment for both men and women. The amazingly cozy shearling jackets and coats emerged on Prada catwalk in different colours. Tommy Hilfiger went for more traditional take on shearling while Burberry gave their coats an ethnic vibe. Whichever style you choose, remember that shearling is the winter season’s must-have piece. 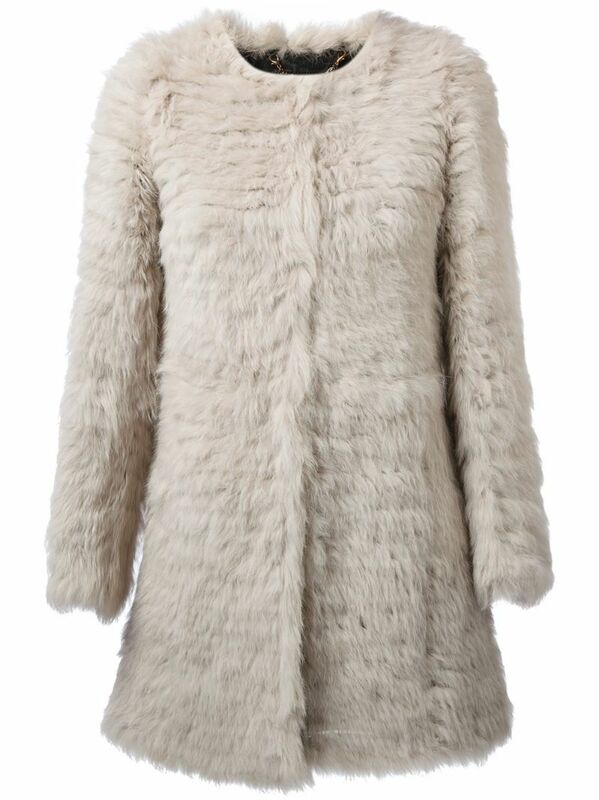 A woman cannot get more stylish winter coverup than luxe fur. This season, designers experimented with new colours and shapes which resulted in eccentric styles that somehow look rich and elegant. The best fur looks appeared on the runway of Just Cavalli, Alexander McQueen, Fendi and Marc Jacobs. The new trend to try is astrakhan fur, a type of fur made from sheep but more subtle. Invest in pure luxury this season with intricately patterned, multi-layered and artificially coloured fur styles to make a major statement this season. Out with the unflattering, big poofy jackets! This kind of outerwear, locally called a padded coat was usually worn on the countryside and everywhere where weight and bulk was necessary to provide a good degree of protection against the cold. Designers know that in some places of the world, winter can be as harsh as in Antarctica (for instance, in Poland) and you still need to look stylish. Many of them sent down the runway models in quilted and puffer down coats with feminine silhouettes. See Junya Watanabe, Kenzo, and Chloé. A high-style alternative to the classic coat, the new poncho takes inspiration from the traditional equestrian blanket. The swingy trend-right silhouette is a dramatic and effortless way to cover up in winter. Monogrammed ponchos appeared on the Burberry looking very much like the blanket (sorry! ), Roberto Cavalli gave his poncho a monochrome print look while Barbara Bui adorned her ponchos with fur. In case you did not know, this piece is ideal for layering. Perfecting day-to-night style, a glamorous, head-turning cape is a luxe statement piece we have seen for at least a few winter seasons in a row. So, if you still do not have a cape in your wardrobe, it is high time to get one for yourself. My favourite look from Fall runway is a cuddly, soft silhouette from Elie Saab Dark Opulence collection. Other wintery trend looks include Salvatore Ferragamo plaid cape and Yohji Yamamoto’s crazy duvet cape.